We are now looking for an enthusiastic, creative and skilled artworker to help the studio team in the production of brochures, banners, websites, reports, storyboards and presentations for pitches and client assets. A-B-Z-TXT is back as the ‘school for 21st century typography’—and it is looking for international applicants. Apply to join Zach Lieberman, Mindy Seu, Ali S. Qadeer, and others in Toronto Aug 17-20 for four days of masterclasses, workshops, and lectures. 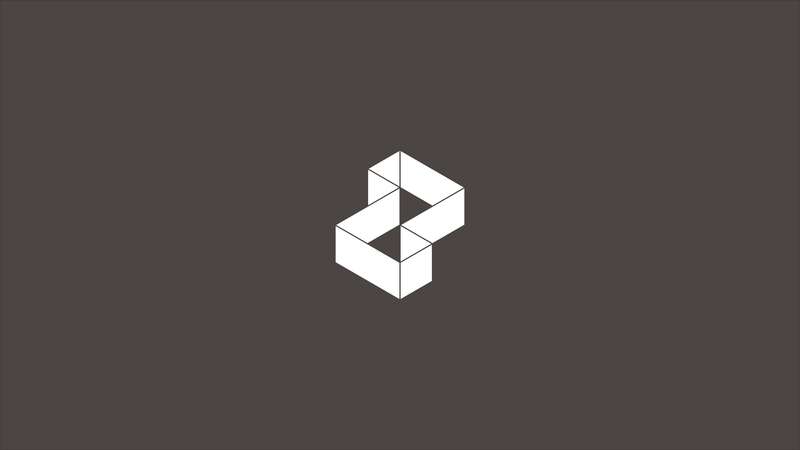 zigzag in Stuttgart, Germany are looking for a permanent Designer II, equipped with excellent visual design skills. 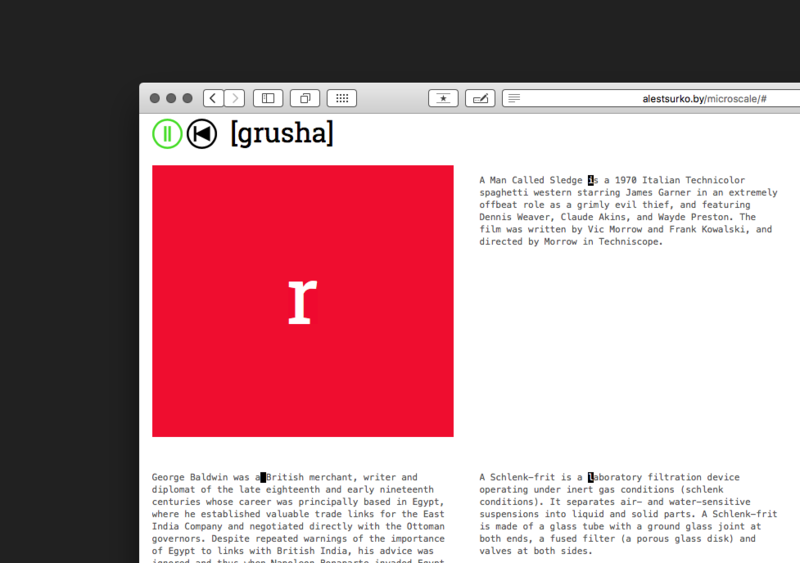 Created by Belarusian composer Ales Tsurko, ‘microscale’ is a music album generated from random Wikipedia articles where letters are the sequencer steps and the track titles are regular expressions that switch the steps on and off. Performance & Interaction Programme at The Bartlett School of Architecture, UCL. 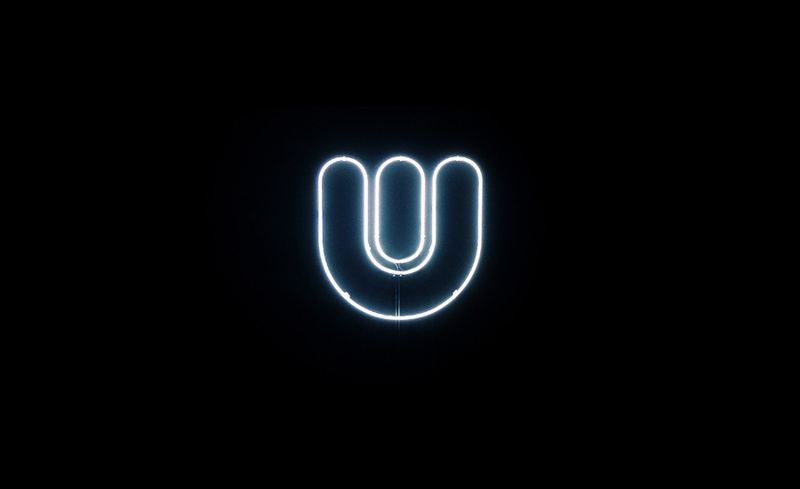 We’re looking for a super creative and flexible Design Director to guide and craft beautiful digital products. 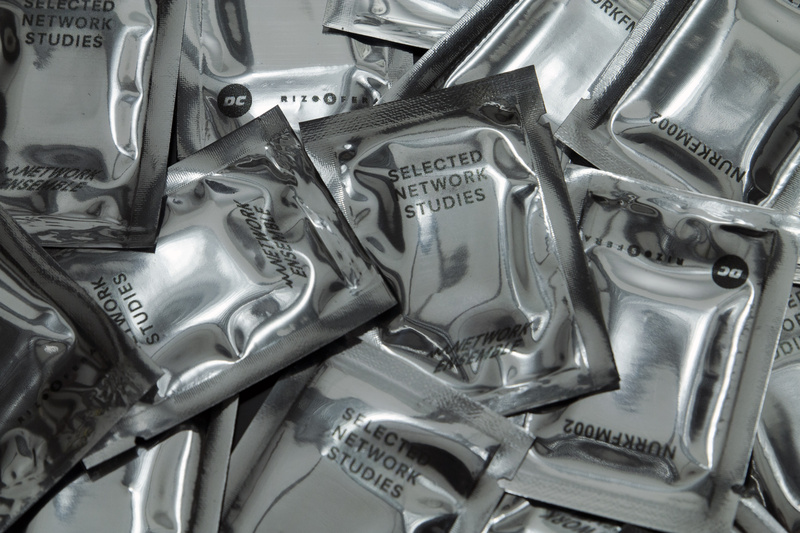 Created by London-based musical duo the Network Ensemble, Selected Network Studies is a series of audiovisual pieces created using network data collected from a number of locations across London, Berlin and Rome. It is released as limited edition UV-printed, vacuum-sealed mylar package containing a 2GB SD Card with one hour of video material and 45 minutes of sound material. 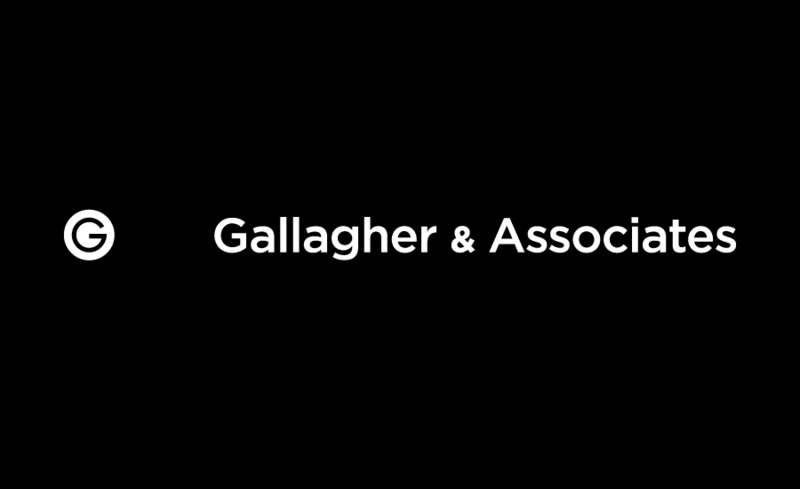 Gallagher & Associates is looking for a talented Contract Senior/Mid Frontend Web developer. 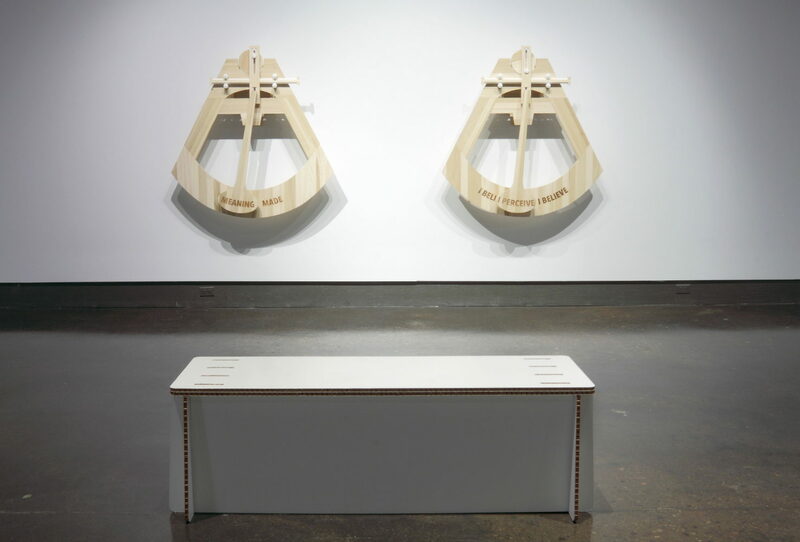 “Reflective Sculptures: A Critique of Binary Beliefs” is a pair of kinetic sculptures by the Ontario-based artists St Marie φ Walker. Produced as part of their MFA show, the motorized devices sit halfway between poems and machines. Created by Technical Earth (Mo H. Zareei + Jim Murphy), interference [dac] is an audiovisual installation that explores the combination and interaction of waveforms in one medium with those of another. 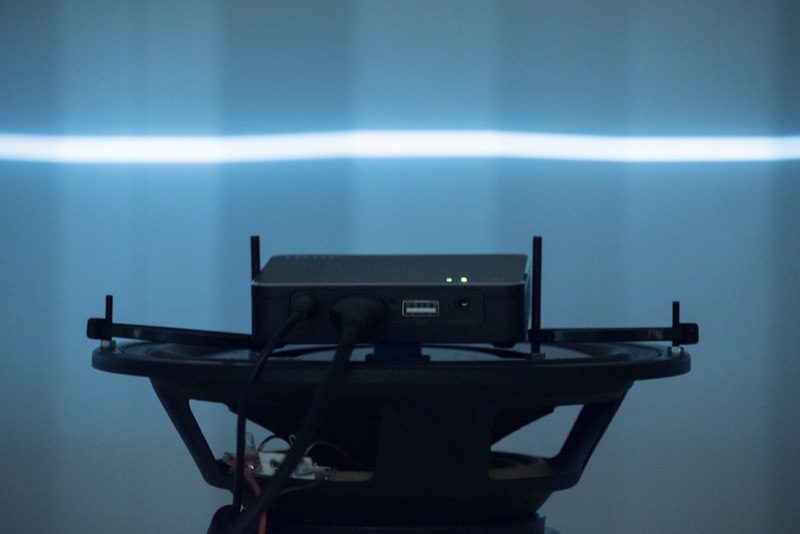 In the installation, which includes a linear array of four miniature projectors affixed to loudspeaker cones, sound waves affect light waves while analogue elements alter digital ones. 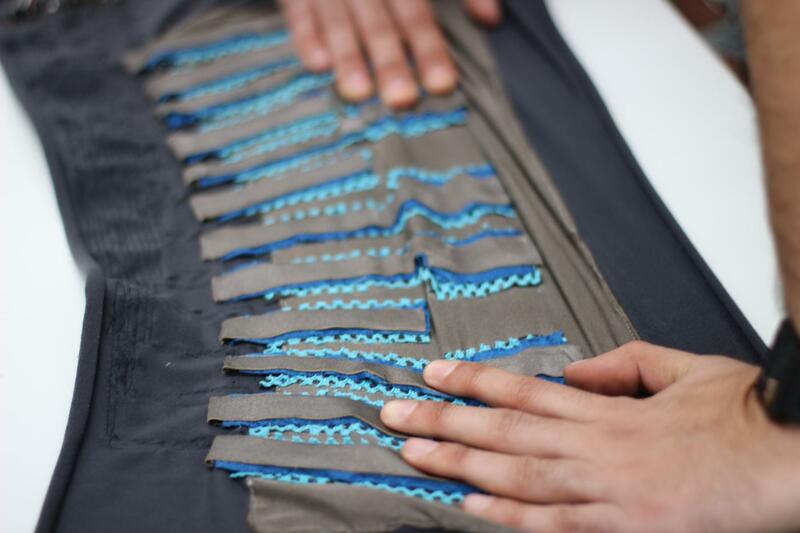 Created by the Responsive Environments team at the MIT Media Lab, the ‘FabricKeyboard’ explores the concept of stretchable fabric “sensate media” as a musical instrument. 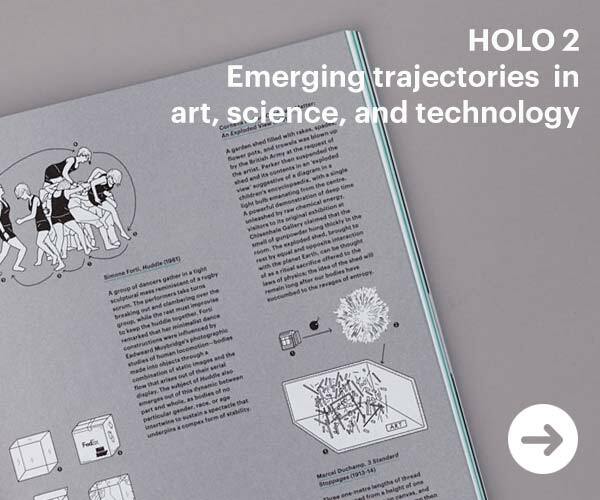 The work is a response to the current developments of textile sensors, stretchable nature of knitted fabrics, and vast growth of new digital music instruments. 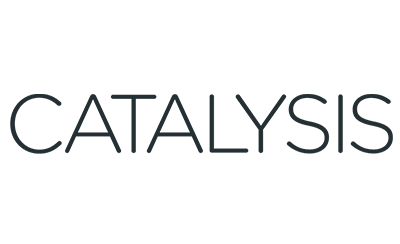 RISD is looking for a front-end developer with a sophisticated eye for design and a passion for creating storytelling experiences with HTML, CSS, and JS.